Noise studies are critical in determining practical, cost effective solutions for any application. ENC’s engineers can develop a noise study to analyze the source of noise and its impact on the environment. A detailed noise study includes noise modeling which enables our engineers to design custom mitigation to meet the acoustical requirements of the project. When noise studies are completed during the early stages of a project, noise control can be incorporated into the design and schedule of the job in the most high-performance, cost-effective manner. This proactive approach is the best way to ensure that noise control is designed and implemented efficiently, preventing any problems and cost penalties that could occur during operation. We have developed noise studies in a range of industries such as oil & gas, mining, power generation, manufacturing, wildlife protection, real estate development and entertainment. We have determined solutions for thousands of different equipment types including drilling rigs, compressors, pumps, generators, trucks and construction equipment. 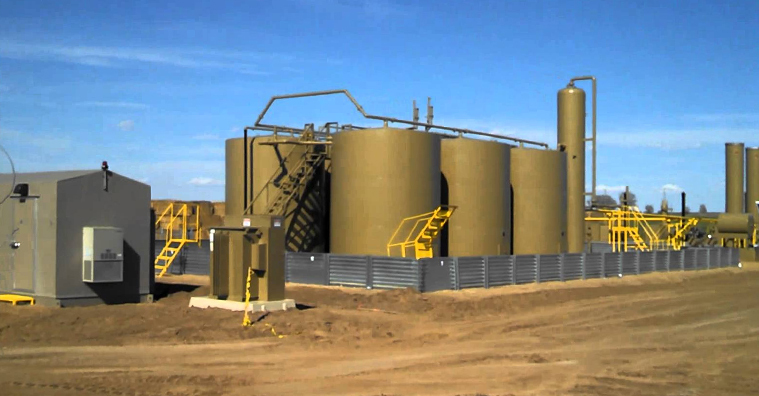 ENC was contracted to perform an acoustical beamforming survey and analysis of a tank battery facility in Lompoc, CA in response to noise complaints by nearby residences.